Did you know that I start every week with the intention of blogging every day? So, yeah. That has not been happening so much lately. Today my friend's daughters are spending the day with us. Z-cakes is in heaven and my belief the trampolines are one of the best inventions ever is reaffirmed (as it is every day). Love that it isn't just me who starts out with those good intentions!! 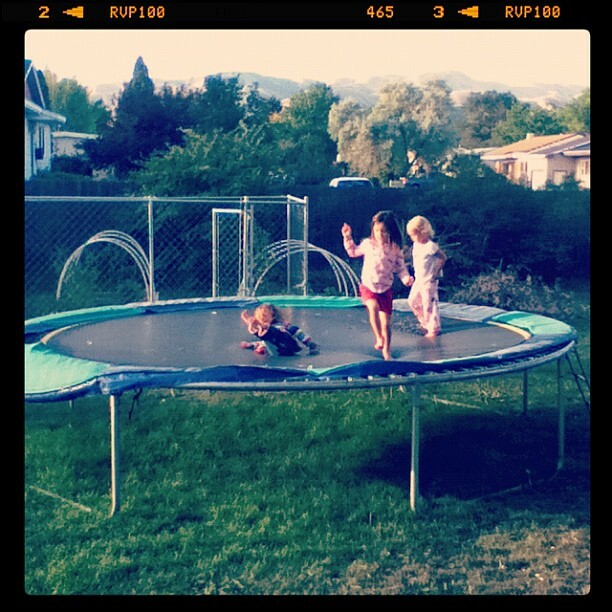 I agree with you over the trampoline - no child should grow up without experiencing playing on one I am sure.